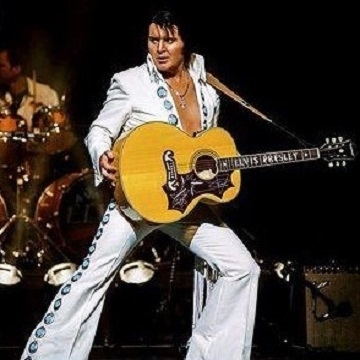 Regarded as Europe’s most successful Elvis Presley tribute, A Vision of Elvis continues to sell out some of the most prestigious venues across the UK and Europe. A Vision of Elvis leaves audiences all shook up, with an uplifting and authentic Elvis experience. Celebrating the music of Elvis Presley the show takes you on a journey from Elvis's Movie Years through to his '68 Comeback, building to a climatic Concert Years’ finale. The multi award winning Rob Kingsley has the total package - the look... the voice... the charisma, and together with his spectacular live band, this show leaves the audience in no doubt that they are witnessing a truly authentic Elvis show.